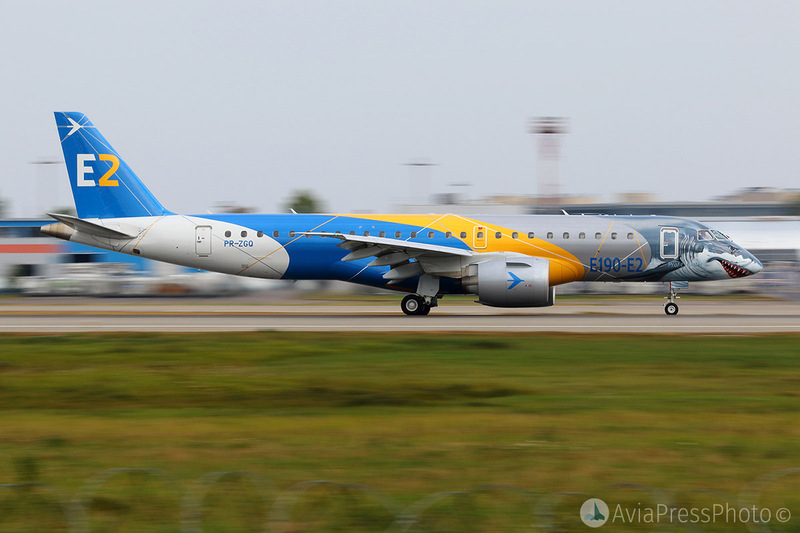 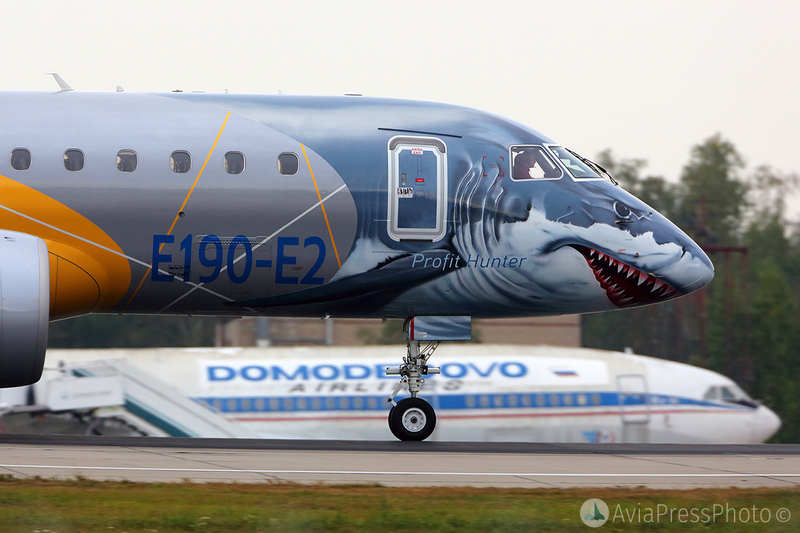 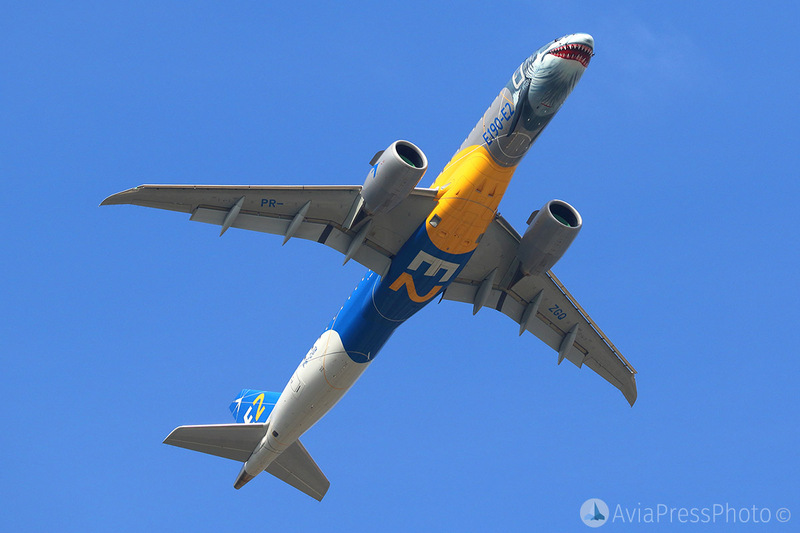 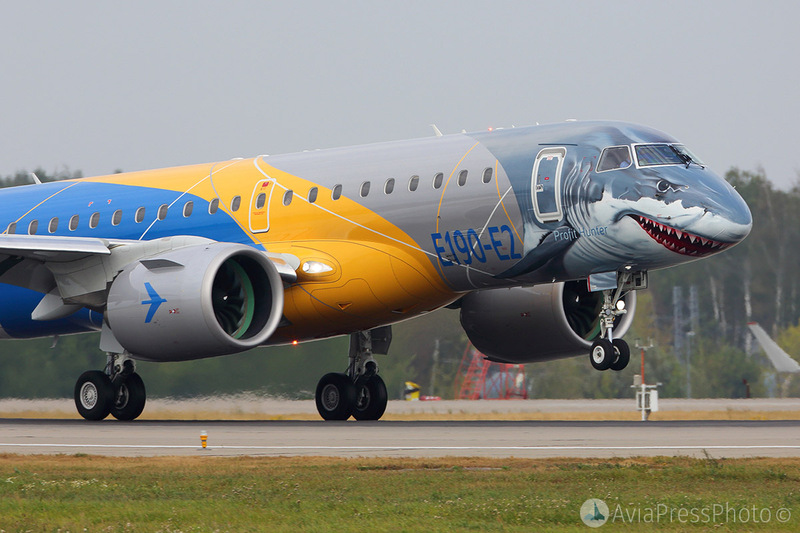 As part of the world tour, the new Embraer ERJ-190-E2 visited the Domodedovo airport, where for several days it performed demonstration flights. 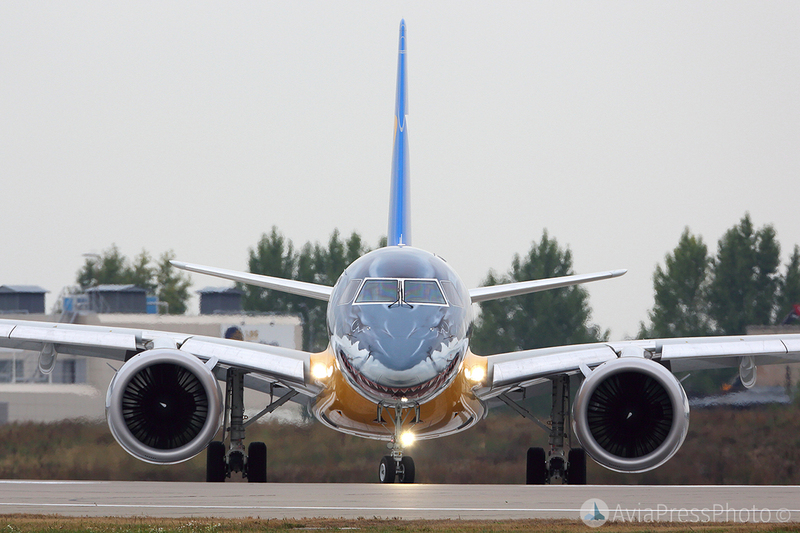 The aircraft differs from previous versions with new Pratt & Whitney PW1000G high-bypass geared turbofan engine, as well as a new avionics and an updated cockpit. 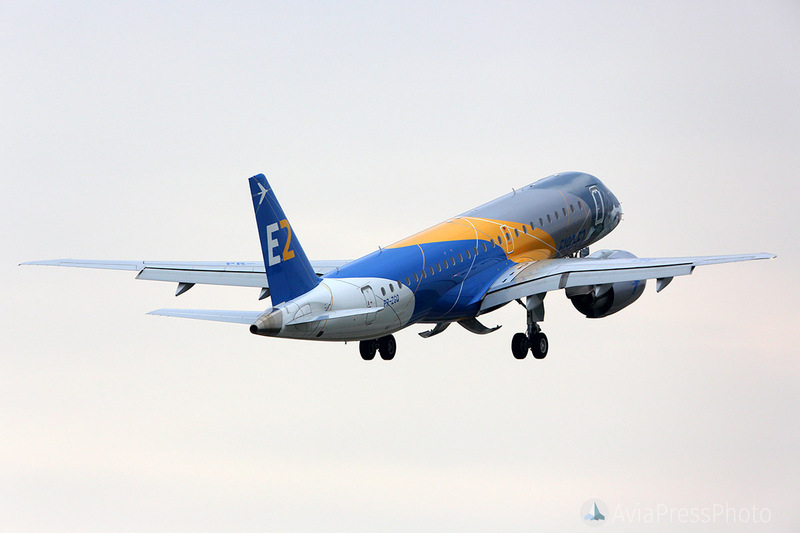 During flights from Domodedovo airport the aircraft demonstrated impressive take-off and landing characteristics, rotating off the runway just after 500 meters from the start. 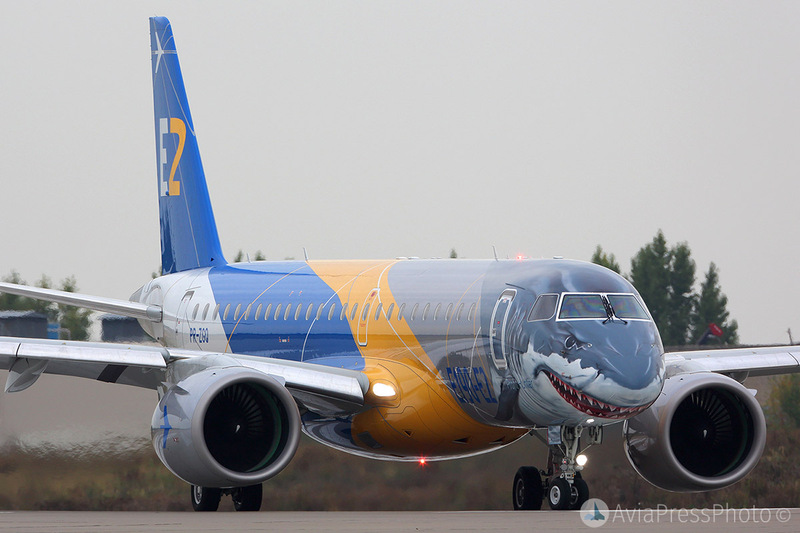 At the moment there are 240 orders for the aircraft of the new modification.